THERE’S NO SHORTAGE OF PLACES TO FIND THAT SPECIAL SOMETHING. If window shopping is on the agenda, why not do it Punta Gorda-style. 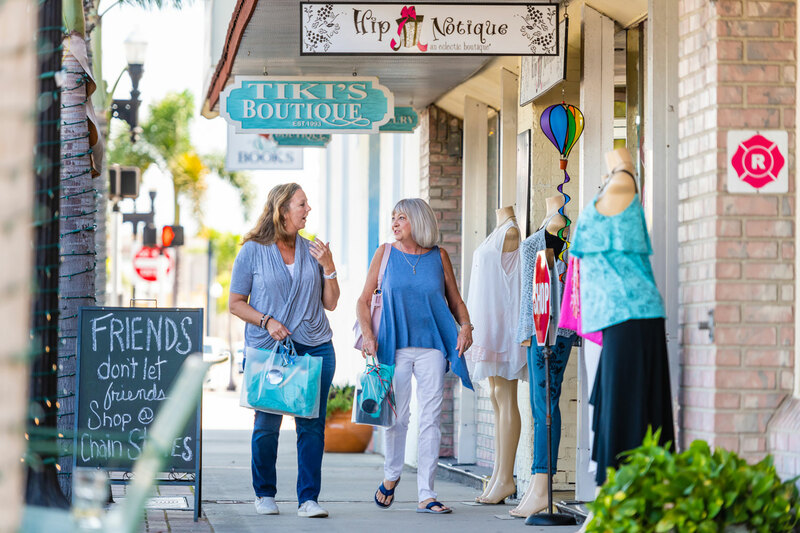 We are Charlotte County’s only downtown destination where you can wander in and out of uniquely Florida shops seeking that one-of-a-kind vacation souvenir. Just a few minutes from downtown is Punta Gorda’s Fisherman’s Village. The Village is where you will find a whimsical mixture of waterfront boutiques and services. Set on the waterfront of Charlotte Harbor, Fishermen’s Village is a shopper’s dream. 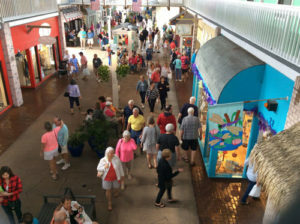 Find unique gifts, vacation mementos, and quality fashion – both fun and formal – along Fishermen’s Village promenade. The inviting, semi-open air esplanade defines the Village and all its offerings. Fishermen’s Village merchants are famous for unusual “can’t get it anywhere else” items for home, garden, and gifts. Connoisseurs, fashionistas, hobbyists, art lovers, pets, and kids of all ages find treasures that amaze and delight. In true Punta Gorda style, combine shopping with a trip back in time at the Punta Gorda Historic Railroad Depot and Antique Mall. Owned and operated by the Punta Gorda Historical Society, visit and tour the recently restored 1928-built, Depot and 20-booth Antique mall building. This depot is the only remaining of six depots built in the Mediterranean/Spanish style. If fine art is on the agenda, Punta Gorda has plenty of galleries to explore and enjoy. No matter what you’re looking for, it’s waiting for you in Punta Gorda.